We’d love your help. Let us know what’s wrong with this preview of Awakening Intuition by Frances E. Vaughan. The Awakening Intuition guides the reader to the greater realization of his or her own intuitive powers through specific exercises, which are combined with an examination of the role of intuition in such processes as creativity and problem solving. A concise overview of the most recent research in this area completes the book. To ask other readers questions about Awakening Intuition, please sign up. Came across the author, Ms. Vaughan, by mention of Ken Wilber in One Taste. What a wonderful little book this is! Her approach to intuition is practical and down-to-earth, even though it is spiritual and not purely materialistic. I found the exercises really useful. And here and there she intersperses her writing with themes of transpersonal psychology which is just what I was looking for. 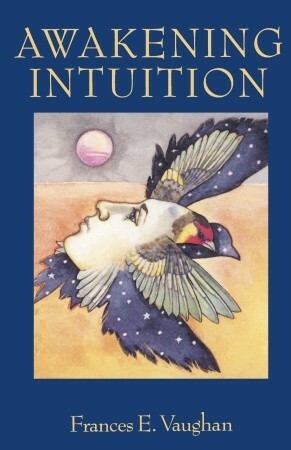 It is another good book to be added to the legacy of studies on intuition. The book offers excellent tips on accessing intuition through relaxation and mindfulness exercises. However, given the time period the book was written, the style could improve a bit and it could have been made more practical and lucid in style. It still remain a great reference work to consult here and there.